Well, well, isn’t today a big day for reveals? This one was announced on Entertainment Weekly, and you can read the full post here. 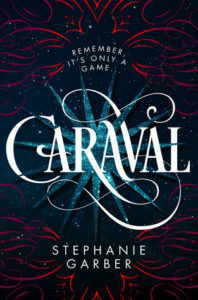 Caraval by Stephanie Garber was a huge success for 2017 and the sequel will probably be the same. 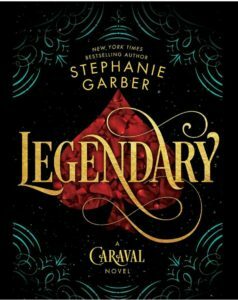 EW reveals that the Caraval sequel will be called LEGENDARY and will release on May 29, 2018 from Flatiron books. With that, I believe it is time for the cover reveal. I have to say I like this cover much better than the Caraval one. It’s beautiful. I haven’t read Caraval yet but I’m still excited for Legendary anyway. What do you think of this cover, share in the comments.